The long-awaited version of Holiline Reminder 3 officially launched. October 2014 – Holiline, the software company developing freeware solutions, officially announces the new release of its product: Holiline Reminder 3.0. The company believes that the new version will take user’s experience to new heights making in this way Holiline Reminder one of the best reminder alternatives. In fact, it is one of the first alternative freeware reminder programs able to professionally print events, create custom events and compatible with Windows 8. These implementations are crucial and advantageous to users that can benefit from new updates. 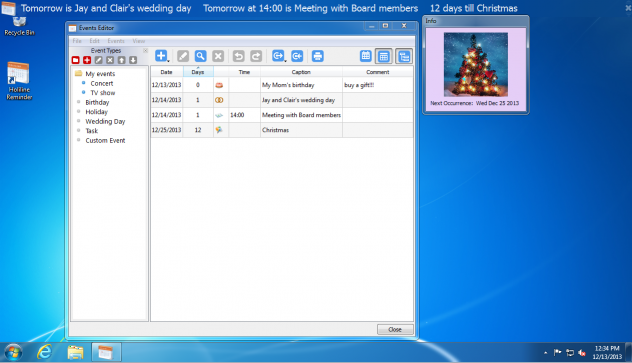 The software package offers an array of new functions that make Holiline Reminder ever more productive. The Holiline development team have been working for a long time to satisfy the users needs. 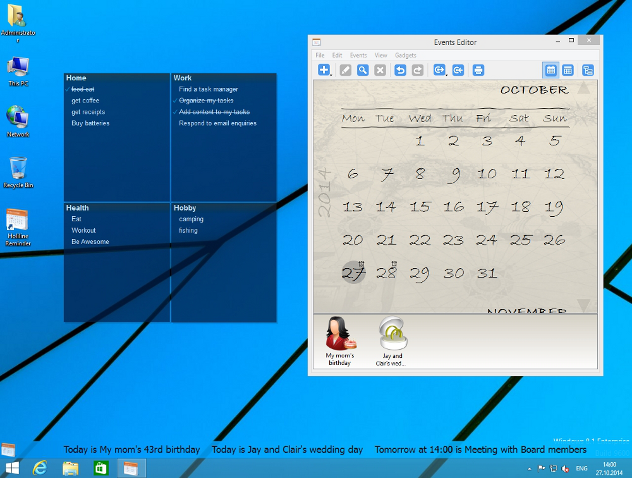 Holiline 3 focuses on desktop gadgets. Apart from Windows 8.1 compatibility, the software works with widespread Windows 7, XP and Vista operating systems. Moreover, it is compatible with most popular reminders and allows to import events from them. The Holiline Oct2014 version is reliable, easy-to-use and free. New version of Holiline Reminder is now available at www.holiline.com, the official website where it is also possible to get more information about the software. Holiline has been developing and marketing free software products for over 11 years.